Over the years Gaucho’s has created a number of unique offerings synonymous only with the Gaucho’s brand. What started as experimental creations in the kitchen has resulted in two of the most sought after products on the menu – the Chimmi and Diablo sauces. It is with extreme excitement and immense pride that the new partnership between Gaucho’s and Beerenberg is born. The marriage of two of South Australia’s most iconic brands will now allow these delicious products to be brought to life in the broader marketplace. 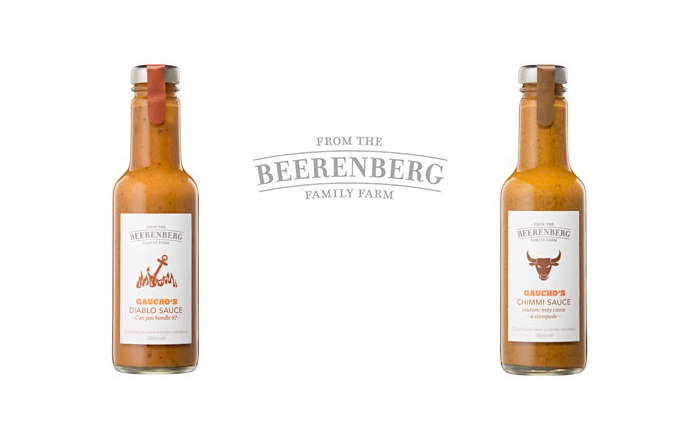 You can now have a piece of Gaucho’s at home with the sauces available for purchase from us at the restaurant or at IGA, Foodland, Woolworths, Angelakis Bros (Adelaide Central Markets), various boutique food stores across Adelaide as well as Beerenberg Farm (online and at the Beerenberg Family Farm at Hahndorf).